No need to cue up at the shopping malls this Christmas. 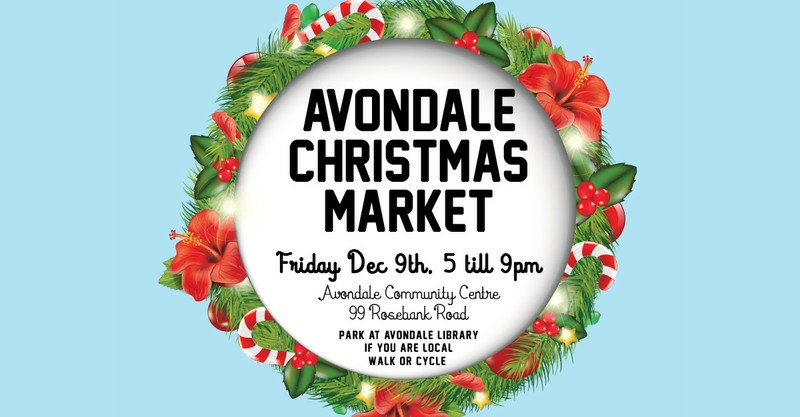 You can do all your Christmas gift shopping, and much more, at our Avondale Christmas Market. This is a family friendly event with indoor gift stalls, free face painting for kids, activities, live music and food. There is a grassy outdoor area so you may want to bring your picknick mats.